Audiovisual systems, not only for schools! Our company has been introducing schools to multimedia usage for 17 years now. We are designing and manufacturing electronic teaching equipment. Our products are made with utmost down-to-earth and intuitive handling in mind. We are open to our customers’ suggestions from which all are considered during the appropriate phase of the development process. As a polish producer we can vouch for our devices’ highest quality and professional, comprehensive customer services we provide. 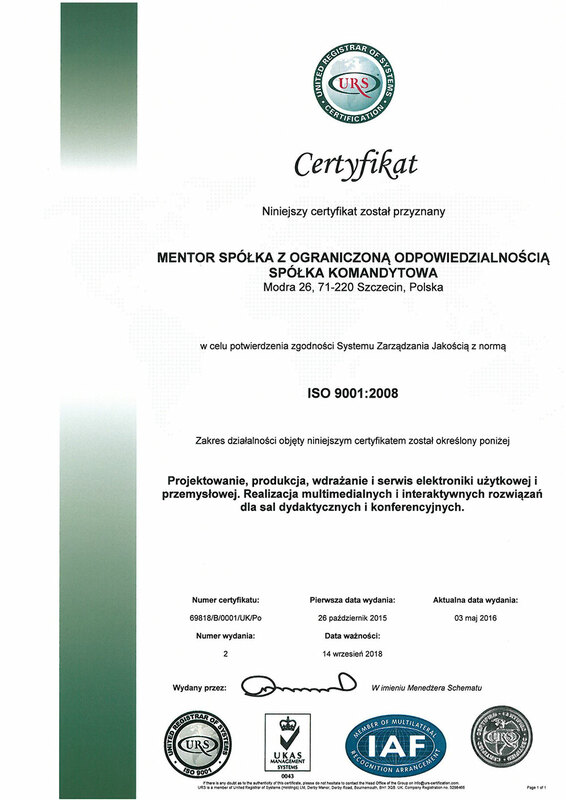 We are ISO 9001 and 14001 certified. Our products are labelled with CE and FCC markings, and are manufactured in accordance with RoHS directive. Since the company was founded, we have carried out hundreds of public procurement projects, and made thousands of schools and government offices full of satisfied users of our systems. 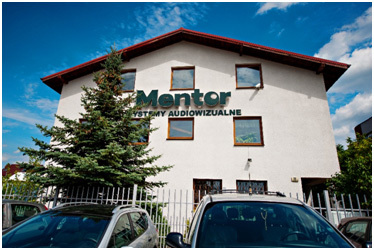 We have visited almost every single part of Poland to counsel, train and provide technical support for our customers. We are dedicated to meet your individual needs, according to our motto: “your needs inspire us”. To be your mentor, partner and aid in multimedia implementation. To provide you with care, safety and the highest standard of customer services. To set trends in modern academic technologies development. We are creative and competent group of young people, working for you and thanks to you.